All part of your esl activities! 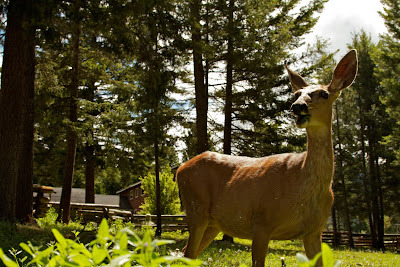 Here in the Chilcotin Mountains are plenty of wild species to admire, and our ranch is a perfect place if you hope to view wildlife. As part of your esl activities, you will likely see many types of birds and wildlife during your program. 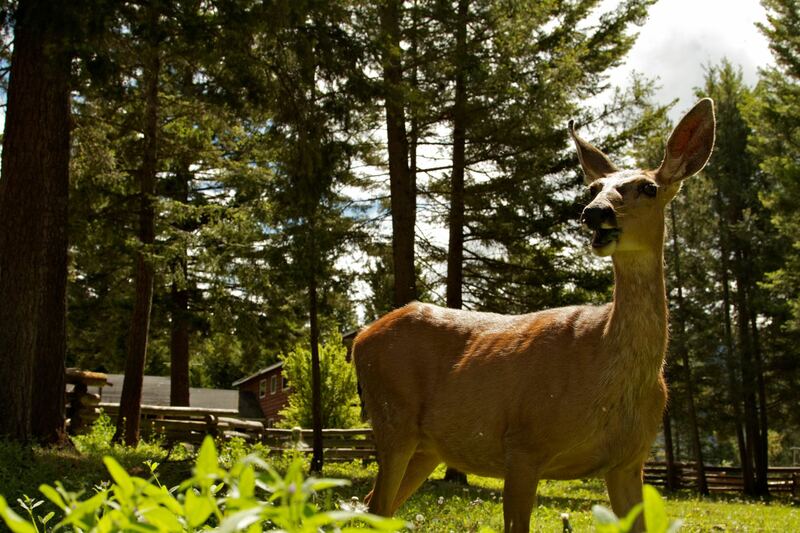 One of our students saw a deer near the houses and, not afraid at all, he took this wonderful picture!